Paris is somewhere that always manages to sparkle no matter how many times you photograph it. It’s one of those fascinating cities that feels like it’s constantly changing even though it remains in the same beautiful historic state and the Eiffel Tower is one of those unique icons that never gets old, it is simply spectacular. Every visit to Paris offers a new chance to see the city and all of its charms from a new angle, in a different light or even with fresh eyes. When it comes to photography locations in Paris, there’s so many to list that it would take a collection of encyclopedia’s to really cover them all. Is it just me that still thinks encyclopedias are cool? Anyway, I published a guide to the best Paris photo spots two years ago and it’s one of the most popular articles on The Wandering Lens. This time I want to delve a little deeper into fourteen of my favourite perspectives you can take photos of the Eiffel Tower, sharing a few places that offer great views of this mighty icon. Another one of my favourite locations is this bridge which is perfectly located right near the Eiffel Tower across the River Seine. From Pont de Bir Hakeim you get a direct view towards the Eiffel Tower and there’s usually some gorgeous houseboats moored along the river to add something extra to your shot. The bridge itself has some shiny black railings that are great to use for creating your own reflections by spilling some water and making little puddles! The bridge has a central section with ornate arches that repeat their way along under the railway. 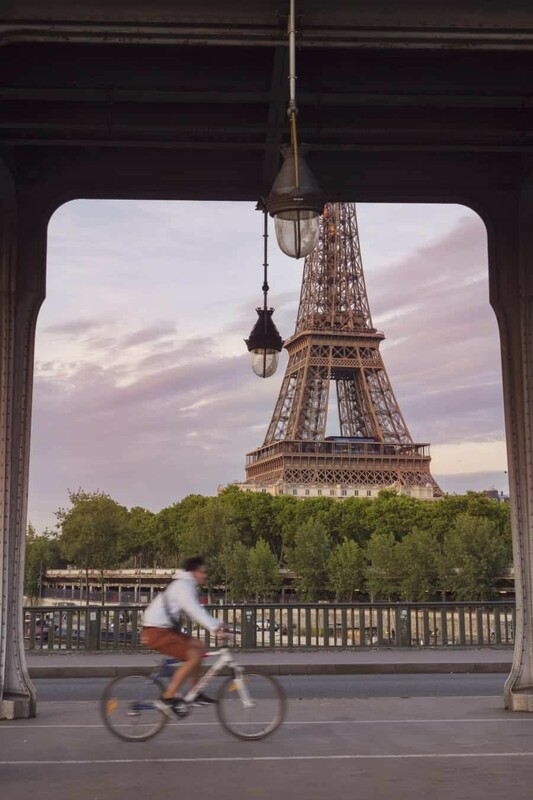 This is a great subject to use for framing the Eiffel Tower and also capturing people passing by on their bicycles. 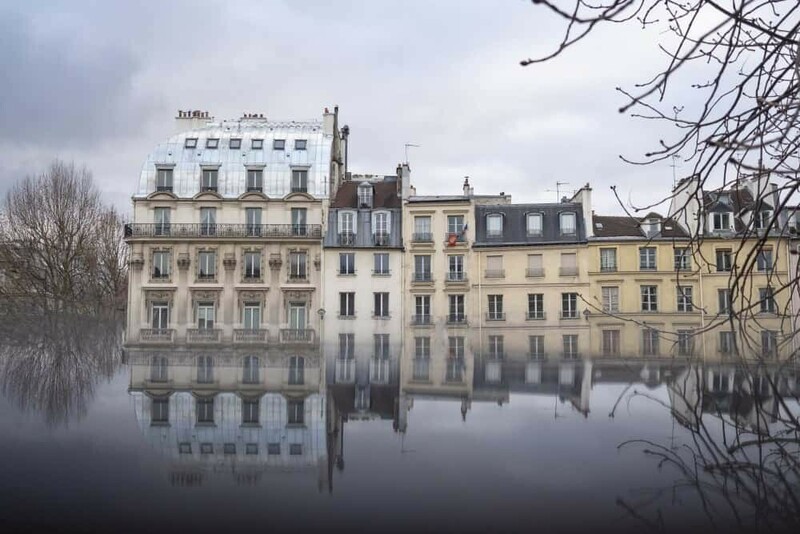 Photo Tip: Take a water bottle to create puddles along the railings, the surface is perfect for creating reflections so you don’t even need to wait for a rainy day! 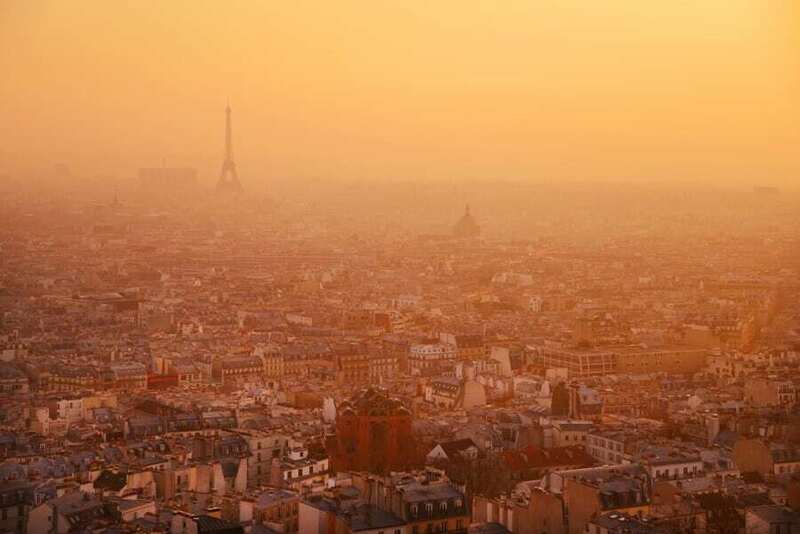 When to visit: This is one of those spots that’s rarely popular at sunset so it’s a great time to venture away from the crowds of Trocadero and find yourself a great perspective to watch the sky change colours above the Eiffel Tower. Photographed with the Olympus OM-D E-M1 Mark II + 12-40mm f/2.8 M.Zuiko PRO lens. Camera Settings: f/2.8 | ISO 200 | 1/1000sec | Reflection created by forming a puddle on the bridge railings. Let’s kick things off with Trocadero because it’s surely the most photographed view of the Eiffel Tower and one of the best places to take photos of the Eiffel Tower. Sitting across the River Seine, here you’ll find grand staircases that lead to the most popular place to photograph the Eiffel Tower. 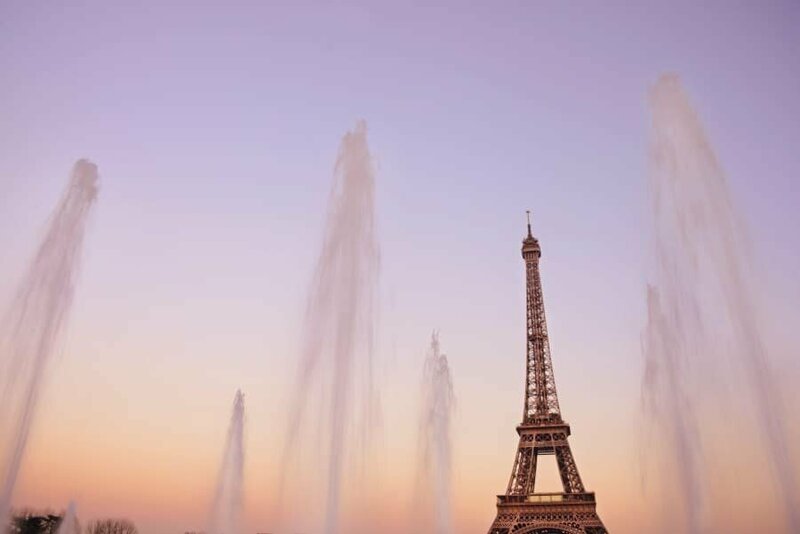 Depending on which direction you arrive, you’ll either enter from behind the Palais de Chaillot or from the Eiffel Tower itself, passing the Jardins du Trocadero and the Warsaw Fountains as you walk up to the viewpoint. 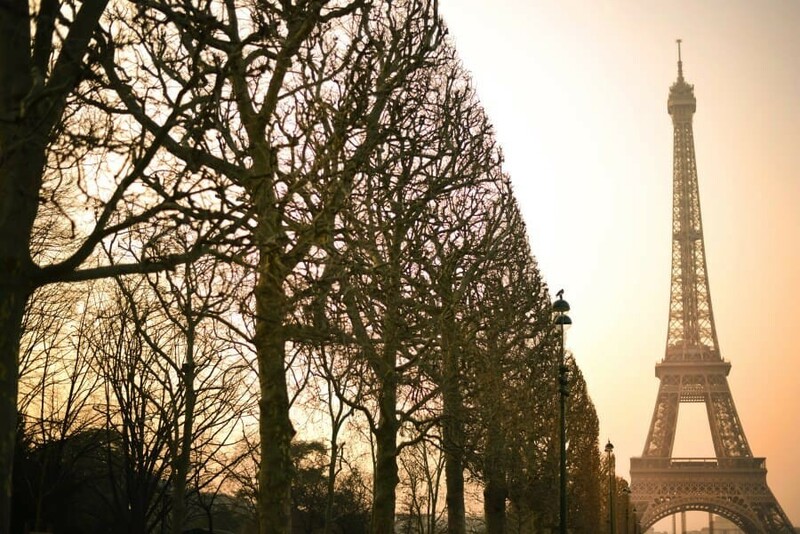 Once you set eyes on the Eiffel Tower the moment is so very special, especially if it’s your first time! You’ll know you’re in the right place because usually there’s hundreds if not thousands of people here, especially at sunset! In fact, I’d suggest coming to photograph here at sunrise to avoid the crowds and then leave sunset for somewhere a little less crowded. Be sure to wander through the gardens looking for a different angle to capture the Eiffel Tower, or compose your shot so it includes the surroundings, the path or go minimalistic and just capture the tower with the sky behind. Photo Tips: Use the Warsaw Fountains to create a unique perspective of the Eiffel Tower. When they’re on and blasting into the air, you can use them to frame your shot, or when they’re off the pone is great for reflections or popping in your little underwater camera for an even more creative shot. When to visit Place du Trocadero: Sunrise! Avoid all the tour buses, crowds and street performers by arriving at sunrise to photograph this beautiful view of the Eiffel Tower. The walk from the Louvre down towards the Eiffel Tower is filled with photography opportunities. Stick to the northern side of the river and you’ll come across some great angles to take pictures of the Eiffel Tower from the many bridges that cross the river. Some highlights include the Pont Alexandre III which offers extravagant statues and detailing to use as foreground subjects to compose your shots. Further along is the Pont de l’Alma which rests on a curve of the River Seine so provides a beautiful view directly across the river towards the Eiffel Tower. As you walk alongside the river, keep an eye out for trees that may be great for framing. Particularly in spring when the blossoms are in bloom and gorgeous pink flowers make for a pretty picture! When to visit: Time your walk for the afternoon then return after sunset so you can see it in a different light. 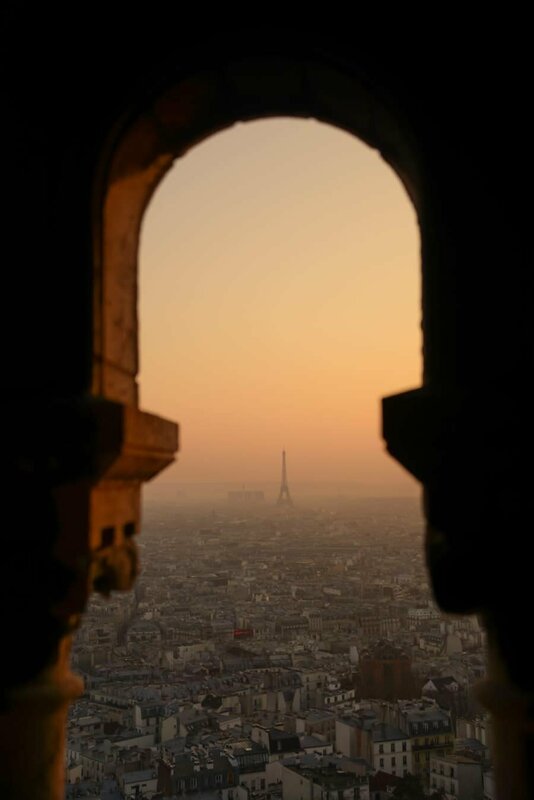 This is by far my favourite place to view the Eiffel Tower and watch as sunset falls over the city of Paris bringing with it a warm glow and little sparkle in the windows below. A lot of people visit Montmartre and the Basilique du Sacre Coeur but only stand on the steps in front. The best view is from the very top, 300 steps above in the dome of the church. It has 300 steps that scurry up in spiral staircases, then across outdoor platforms before reaching the final viewing point. If you’re not a fan of small spaces or get a little claustrophobic, this might not be a great activity for you. Once you’re at the top of the dome though, the views are magnifique! And, there’s actually quite a lot of space at the top where you can wander around and see Paris from all angles. To find the stairs, you need to walk outside the church and down a staircase to the left of the church entrance. Here you’ll find a small ticket booth and access to climb to the dome. Prices vary but it’s roughly 5euro per person. If there is one place to see Paris from and to capture photos of the Eiffel Tower it’s from this spot. I’ve spent many special evenings watching the colours change over Paris as I snapped happily away taking pictures of the Eiffel Tower and the cities skyline. Photo Tip: Arrive well before sunset to find a great perspective and secure your spot. You can use the structure itself to frame your shot or take along a zoom lens to capture the buildings and bring the Eiffel Tower in a little closer. When to visit: Opening hours for the dome are daily from 8:30am to 8pm (May to September) and 9am to 5pm (October to April). I suggest timing your visit so you can watch the golden hour and photograph as the light changes and dusk appears. Allow yourself about two hours if you really want to capture some magic! I could barely tear myself away from the view, it’s so special and you’re rarely sharing it with anyone else because the stairs are quite the deterrent! Perched high up on a hill at roughly 130m high, Montmartre is a great location to view and photograph the Eiffel Tower from. The most popular place in Montmartre is in front of the Basilique du Sacre Coeur however if you wander along Rue Azais to the right, there’s a lovely little path that provides views over the rooftops near Moulin Rouge and the streets below. There’s a few viewpoints around Montmartre so take some time to explore the smaller streets and always keep an eye out for whenever the Eiffel Tower appears. 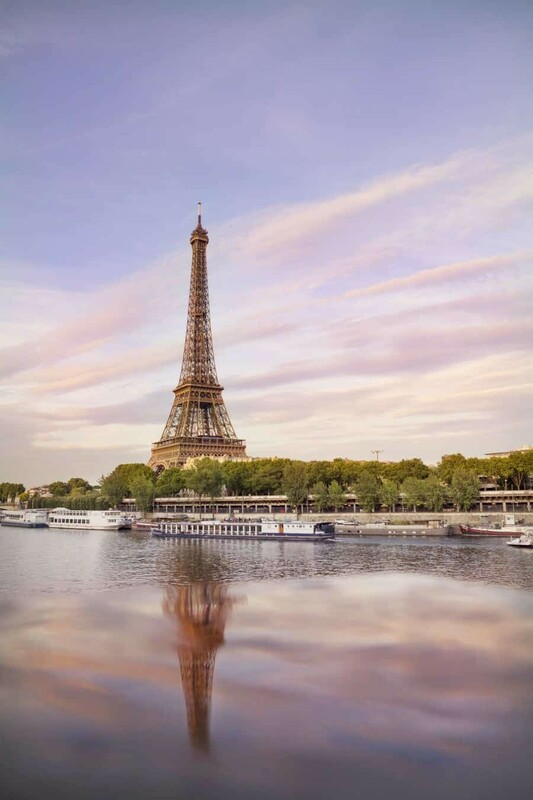 Photo Tip: Use the surrounding buildings to frame your images and show some foreground detail to create a different perspective of the Eiffel Tower. When to visit: Anytime of day is beautiful from Montmartre but personally I love the warm afternoon light, it really makes the colours of the buildings and cityscape glow. Forming a large garden area between the École Militaire and Eiffel Tower, the Champ de Mars is a great place to capture various angles of the Eiffel Tower. You can capture wide angle landscapes, close up details of the structure, head up to the top or use the surrounding gardens to your advantage. 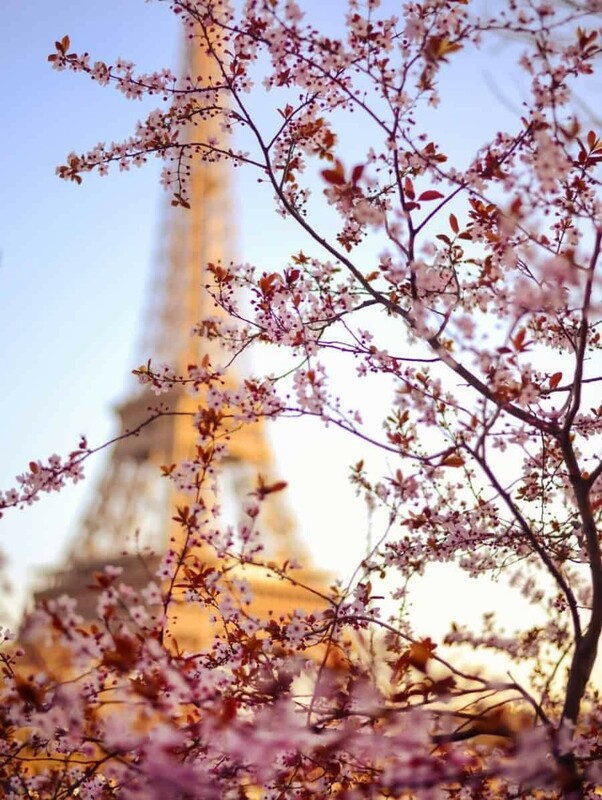 Depending on what time of year you’re visiting, you’ll either have beautiful blossoms lining the way to the Eiffel Tower, brilliant bright green trees or twigs if you’re there in winter. Regardless though, the tree lined avenues that lead along each side of the Champ de Mars are great to use in your photographs to create leading lines and point the viewer towards the subject. In summer you can set up a picnic on the lawn and spend all day there if you like! Photo Tip: Look around for angles to utilise the gardens and trees to frame your image. When to visit: If you want to avoid crowds and capture a shot without anyone in it, visit at sunrise. That said, there’s so much space here that you really can visit at any time of the day and find somewhere without people. Stick to the side paths and you’ll find some great angles. This might be a personal favourite, but when arriving from Bir Hakeim metro station, this will be the first point in which you see the Eiffel Tower as you cross the River Seine when travelling from the north. Otherwise, once you exit the station and venture towards the Eiffel Tower, your first glimpse will be just around the corner. Also, at the corner of Rue Jean Ray you’ll find the Australian embassy so there’s usually a giant photo of a koala or kangaroo on the side of the building which I always love to photograph alongside the Eiffel Tower. 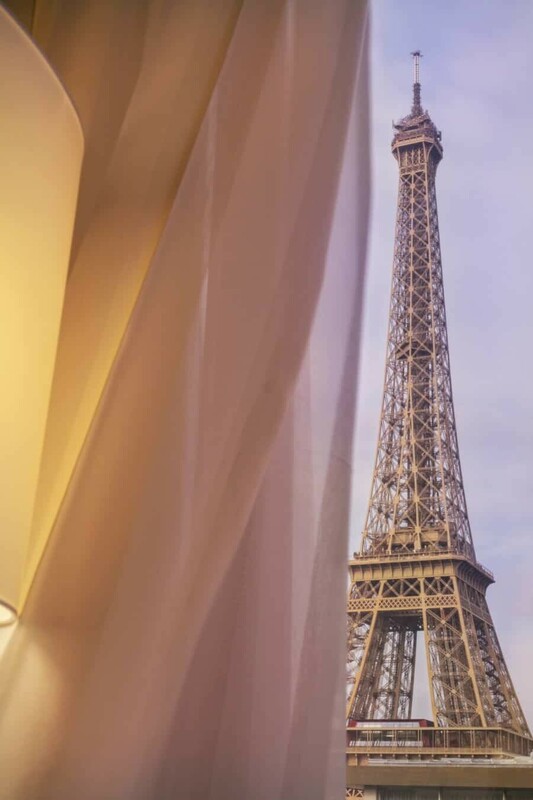 If you’re not Australian and don’t find that cute in anyway, Rue Jean Ray is also home to the Mercure Paris Centre Tour Eiffel and Pullman Hotel, both which have incredible close-up views of the Eiffel Tower from their rooms. 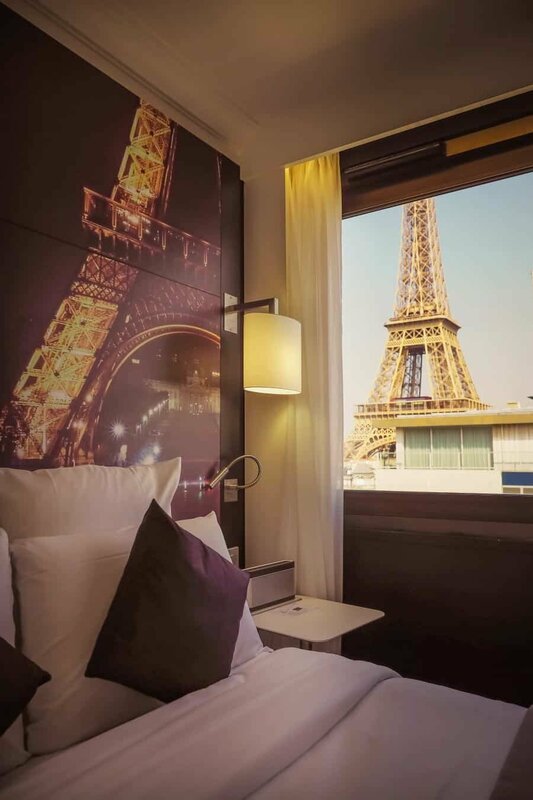 Photo Tip: Book a room at the Mercure hotel and ask for a corner room on level 11 (room 1131 if you can get it)…it’s actually quite affordable and you’ll be waking up to sunrise over the Eiffel Tower and falling asleep to the spark of the hourly light show. When to visit: Anytime of year! Offering panoramic views of Paris from the 200m high tower, this is one spot you can’t miss because it’s absolutely incredible. From the top you can see the Champ de Mars and its perfectly designed lines leading towards the Eiffel Tower with the surrounding avenues and buildings adding to the beauty. The tower is open throughout the day and until late at night meaning you can take your pick of what you want to see and photograph. If sparkling city lights are your thing, it’s a great place to set up your tripod and capture a long exposure of the lights below. 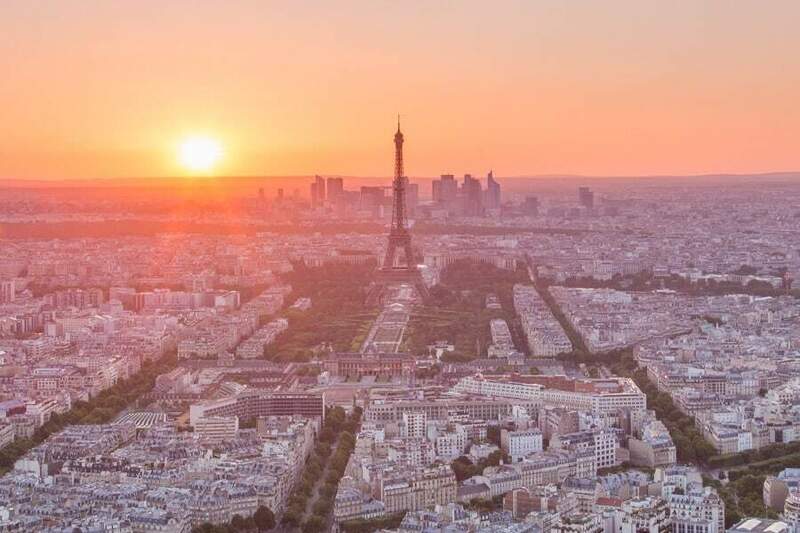 Sunset can get a little crowded at the top so if you are hoping to capture one of those iconic landscape shots of Paris, it’s well worth arriving early to secure your spot and stand strong to make sure you get the angle you’re after. Photo Tip: There’s a bunch of shots that can be taken from this view point so be sure to have with you a wide-angle lens and a zoom if possible to snap some varied perspectives. When to visit: The tower is open year-round from 9:30am until 11:30pm during the summer or 10:30pm in winter (except Fri + Sat which is 11pm). The adult price to enter is €17. This little surprise is hiding up on the roof of this luxury department store. The good news? You don’t have to buy anything to enter! 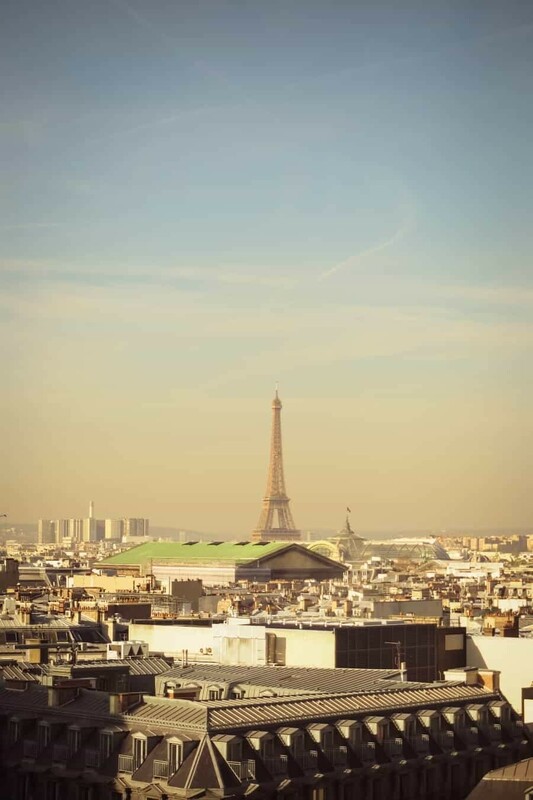 Waltz through and head straight for the highest floor then wander out to see a magnificent view over the rooftops of Paris towards the Eiffel Tower. Because the department store is located within the Opera quartier, you’ll be treated to views over the Palais Garnier which adds another element of history to your image. Photo Tip: Keep an eye out for beautiful details in the surrounding buildings to use as foreground subjects for your image. Sometimes there will be art schools drawing the view from the top who can also act as great subjects! It provides a unique place to take pictures of the Eiffel Tower while exploring a beautiful suburb of Paris. When to visit: This viewpoint is only accessible during the stores opening hours but during winter months that’s until 8pm meaning there’s the possibility of photographing sunset from here. Another day another rooftop but this time, it’s the incredible towers of the Cathedral de Notre Dame! 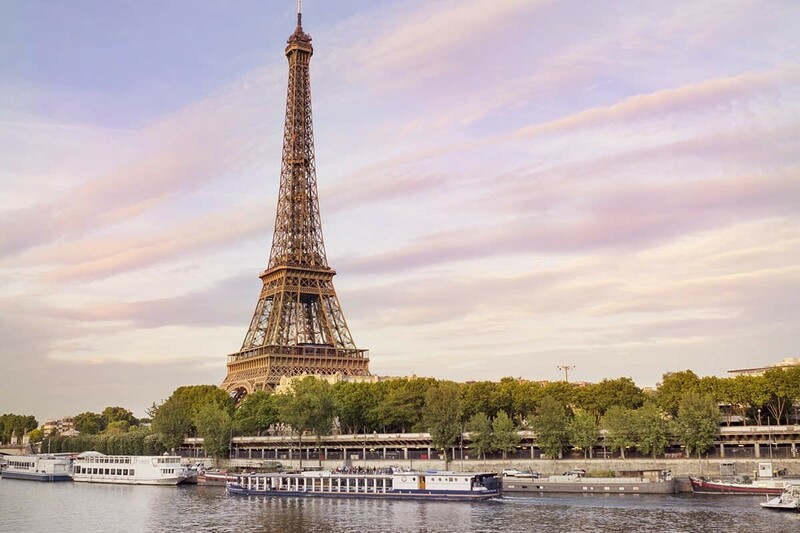 No visit to Paris is complete without seeing the gargoyles and fascinating details of the Notre Dame Cathedral, but for views of the Eiffel Tower, this is one of the best locations. From the towers of the cathedral, you get views looking over the River Seine down towards the Eiffel Tower and believe me, it’s absolutely beautiful. 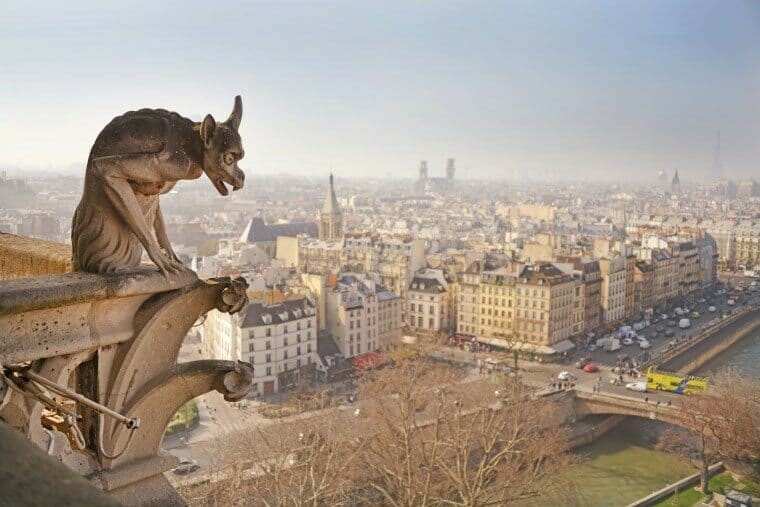 You can use the gargoyles as foreground subjects for your images or zoom in to capture Pont Saint-Michel and the river at the base of your composition. Photo Tip: Arrive early. I mean before opening time to ensure you’re at least close to the front of the queue. There’s a lot of people that pass through the towers of Notre Dame and with only a limited amount of people allowed up at any one time, it’s essential to arrive early otherwise you’ll spend more time waiting in line that taking photos. Also you’ll need to be relatively fast when taking photos because it’s on more of a rotation visit than a stop and relax kind of situation. When to visit: Like I said above, first thing in the morning as soon at the towers open at 10am. Also don’t forget to visit inside afterwards! The queue for the rooftop starts around the side of the cathedral in Rue de Cliotre-Notre-Dame. This spot might be quite obvious because it’s smack bang in front of the Eiffel Tower, but you’ll be surprised how many people forget to take a photo here. The Pont d’Iéna acts as a photo ready avenue leading towards the tower, a great subject for wider compositions if you can manage to get a spot to yourself. Traffic passes over the bridge very regularly so once the light drops, you can snap some great long exposures here with the blurring of headlights and movement of the traffic. Just before crossing Quai Branley to the Eiffel Tower, on the right you’ll probably be distracted by a very photogenic carousel. 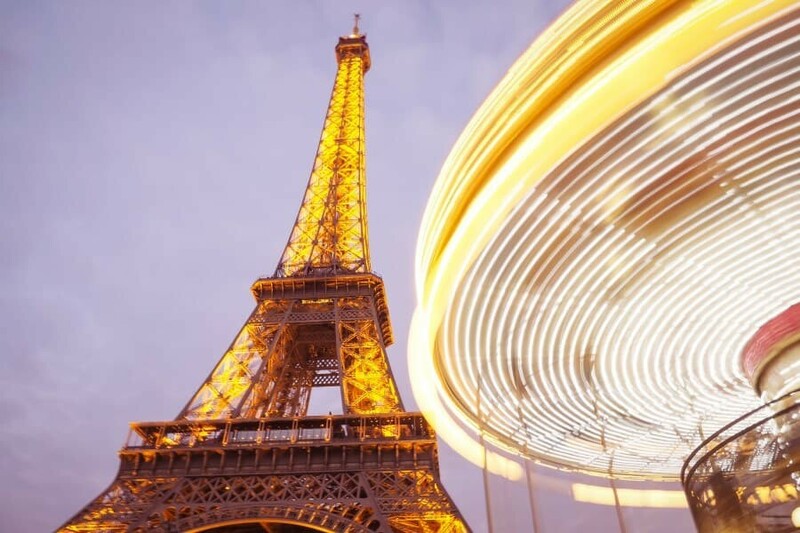 It’s a great subject to use in photos of the Eiffel Tower, especially once it starts spinning around! Photo Tip: Drop your shutter speed and capture some long exposures of the traffic on the bridge with the Eiffel Tower glowing behind. The same for the carousel, get nice and low and line up the Eiffel Tower so it’s just popping out from the carousel. When to visit: Dusk is a beautiful time to photograph on the bridge and by the carousel. It’ll lead into the evening making it the perfect time to capture longer exposures. Grab that fashionista shot here at the Avenue de Camoens located just near Trocadero. You’ll find this small street only a five-minute walk from Place du Trocadero meaning you can do both locations in the one stop with each offering a different perspective. At the end of the Avenue de Camoens, there’s a beautiful lamp post and the perfect location to grab a romantic portrait with the Eiffel Tower sparkling behind. I’ll let you wait to see what the view looks like…I promise it’s worth it! 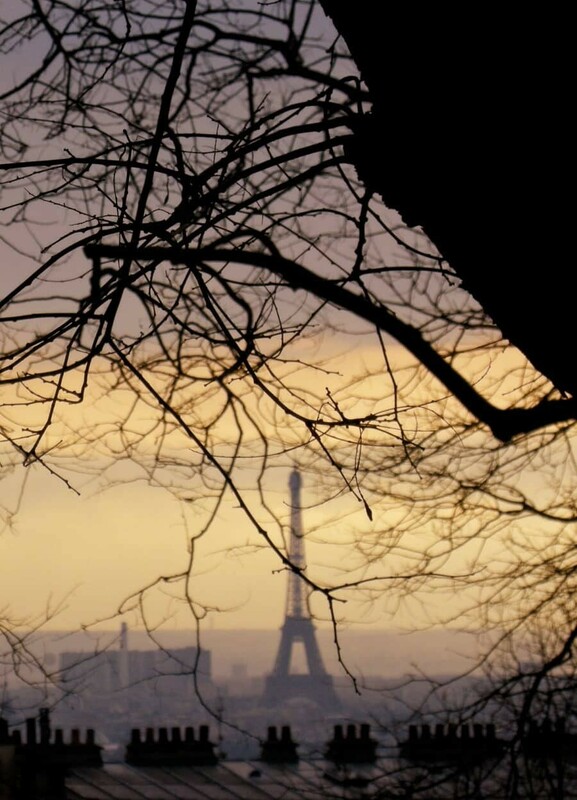 Do you have a favourite spot to photograph the Eiffel Tower? Share it in the comments below or tag a photo using #thewanderinglens on Instagram for a chance to be featured in the @the_wanderinglens Insta Stories. I’m absolutely in love! I’ve never seen some many approaches to shooting the Eiffel tower! Beautiful!! Hooray! I’m so glad you like them…have you been to Paris? I could have really used this post two summers ago when we went to Paris. You captured the Eiffel Tower so beautifully in so many areas! The photo taken from across the River Siene is my favorite. 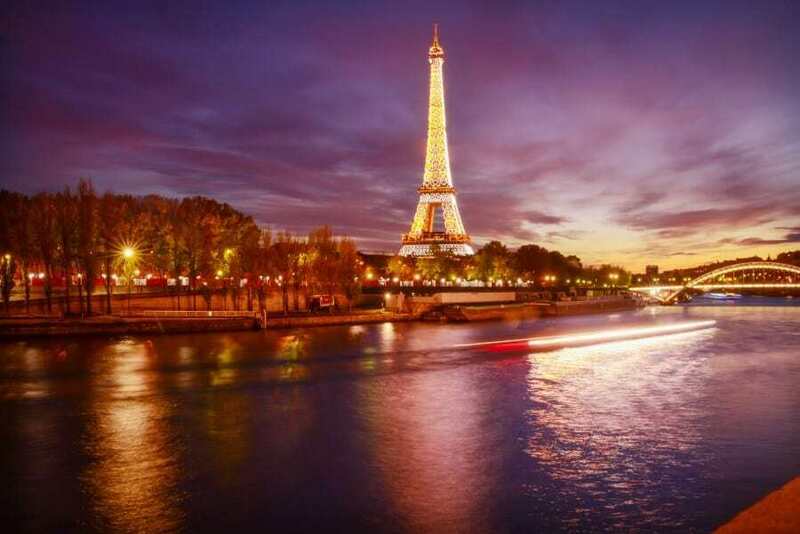 Your Trocadero photograph (hope that’s how you spell it) is stunning. Such a valued post and so wish I’d came across it before I went to Paris. I’ll definitely hare these tips with family & friends who are soon to visit! AMAZING list!! Especially loving your cover photo, it’s so dreamy and nice! 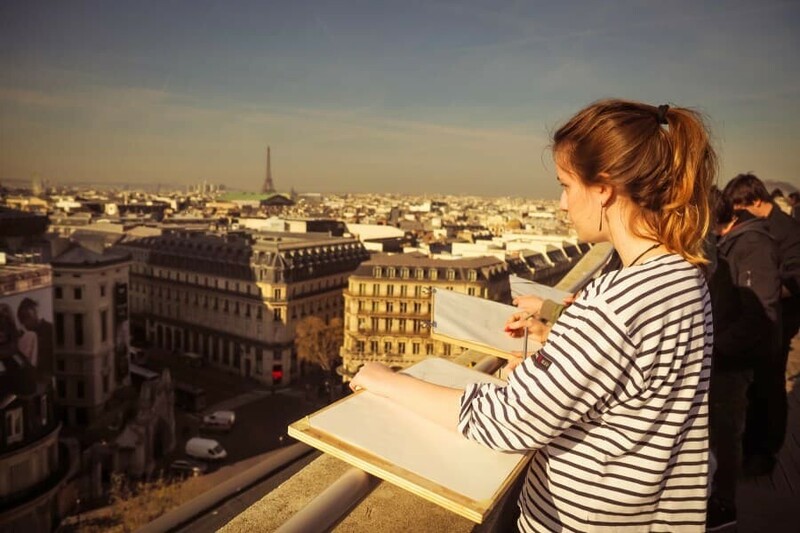 Thanks for sharing so generously, I hope I can head back to Paris soon enough and use your post as a guide! This is such a great post, thanks for sharing your advice. My favourite is the picture with the pink flowers and the blurred Eiffel Tower in the back. 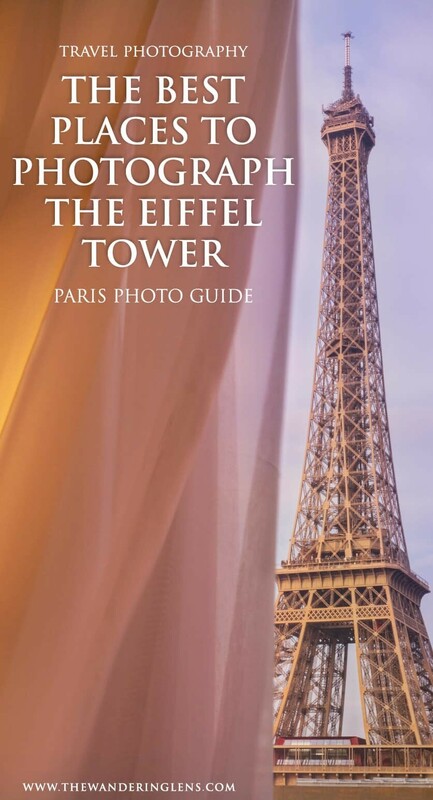 Ok, this is just about the best guide ever and I wish I had read it before I went to Paris last year! These are such great photos and I love how you included tips on how exactly to get the shot. I am definitely saving this for the next time I’m in Paris – hopefully soon! THank you so much for this!! Definitely saving it for my next trip to Paris. Always looking for new photography perspectives and inspirations. Love your blog! Eiffel tower in Paris, one of the most prominent and iconic masterpiece made, everyone wants to take a picture everytime the people would go there, it’s just a magnificent art!